Both engineers and machinists play an instrumental role in the production process. The engineer designs a product, and the machinist — while attempting to follow the engineer’s precise instructions — turns a piece of metal or other material into the intended product. In an ideal world, this should be a smooth operation: engineers are required to think long and hard about a product’s shape, form and function, while machinists — us included — must decide how they will use their machinery to realize the engineer’s vision. In reality, lots of problems can occur. If the engineers and machinists do not have a close working relationship, there can be translation issues between engineering drawings and the machine shop. If a design is not comprehensively annotated, for example, machinists will have to improvise, and sometimes have to make changes to a design to make it machinable. Needless to say, engineers aren’t always happy about this. To improve the relationship between engineer and machinists, and to help engineers understand why machinists sometimes have to amend their masterpieces, all engineers should attempt to gain some first-hand experience in machining. Here’s why. In general, learning the ins and outs of machining gives engineers a better chance to understand just what the machining process is capable of. 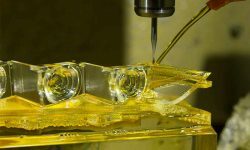 With first-hand experience operating, for example, a CNC machine or lathe, an engineer will gain a better perspective on both the possibilities and limitations of machining. Of course, not all machines are the same. Gaining experience using a particularly high-end machine may not accurately reflect the abilities of a low-cost machine shop. Nonetheless, the ability to bridge the gap between design concepts into physical manifestations can completely alter one’s approach to design. Learning the specific details and, importantly, the terminology of machining can also be of great advantage to an engineer. For example, annotating designs with comments about specific machining processes and techniques — in the language of machining — makes the machinist’s job simpler and will ultimately lead to a better product. Engineers with first-hand machining experience tend to approach machining partners with a more open mind — which is key to getting the best results. Understanding that machinists cannot always deliver exactly what is on the page is the first step in a necessary dialogue, which can itself help to improve a product. A common complaint from machinists is that engineers do not always clearly explain their wishes — that they insufficiently annotate their designs or do not stipulate why certain decisions have been made. Gaining perspective from the other side not only helps engineers understand the possibilities and limitations of machining, but also helps them understand what kind of questions a machinist will ask when receiving a design. Can this feature be adjusted to allow the machine to approach the workpiece from a different angle? Can this material be replaced with another to enable easier milling or boring? In general, the manufacturing process can be improved when the machining side and the engineering side understand each other’s issues. Engineers are often baffled when machinists veer from drawing specifications, or — paradoxically — when they attempt to carry out specific instructions to the letter, even when they will not produce optimal results. On the other hand, machinists frequently point out that engineers are prone to providing incomplete drawings and annotations, or drawings that are physically impossible to realize with the specified equipment. Problems from both sides can be improved via mutual understanding. That starts with a simple conversation: What are your machines capable of? Is this design possible? If not, how can we modify it? Engineers should initiate that dialogue regardless of whether they have machining experience, but those who have got their hands dirty in a machine shop will be in a much better position to speed the process along. Improving the relationship between engineers and machinists is a long-term endeavor, but it is one that will ultimately result in better manufacturing for all. Whether or not you know the ins and outs of a machine shop, 3ERP is always happy to discuss a project, and will always go into a job with the possibilities and limitations of our own equipment in mind. 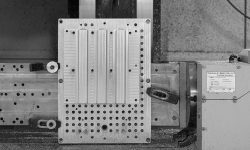 While we like to think we are better than most at realizing complex machining jobs to the highest degree of accuracy, we understand that compromises sometimes need to be made. Ultimately, the only way to come to a satisfactory is through communication. Contact us and we can start the process together.